Corvina is a red-wine grape originating in, and still primarily from, the Veneto region of Italy (which is centered on Venice). The grape might be said to live several lives: it makes dry table wines such as Valpolicella and Bardolino; it makes (usually) sweet recioto wines; it makes the high-alcohol Port-like Amarone; and in recent decades it makes Ripasso, a sort of poor man's Amarone. Recioto wines are an ancient specialty of the region. Nowadays, they are made by placing the harvested grapes in special drying rooms; the drying-out concentrates the sugars in the grapes before they are then vinified. Making Ripasso, a relatively new technique, involves adding pomace from the grape skins and seeds left after the fermentation of Recioto or Amarone (or both) to normal Valpolicella, then giving the mix an extended period of maceration. The added material serves as input for the yeasts, producing a wine with a higher-than-normal alcohol content, plus—the desideratum—more tannins, phenolics, and other compounds that augment the wine's flavor and taste complexity. Amarone is made from grapes harvested as late as possible to enhance their sugar content then dried (on straw mats) to further concentrate their sugars. They are then vinified using special yeasts that can convert all of their sugar to alcohol, producing wines high in alcohol but also of great complexity and strong flavors. 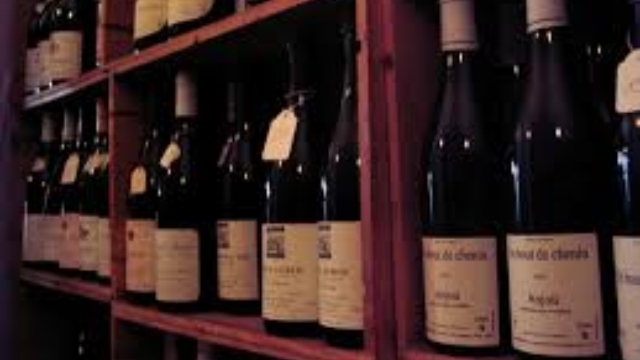 The resultant wine is then aged in oak casks, typically for several years, further adding to its complexity of taste. Amarone is often compared to good Port, but is less sweet. Good specimens of Amarone want up to a decade of bottle age to mature, and some feel that up to twenty more years can further augment them. 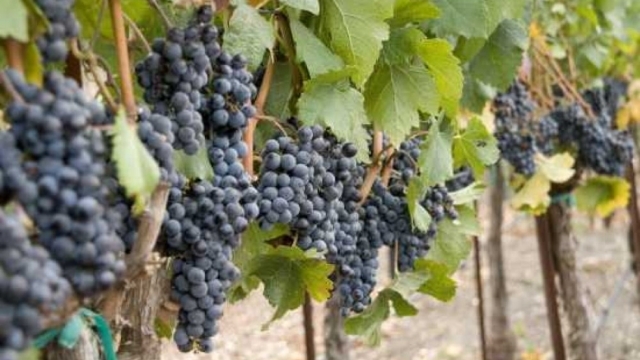 In table wines—very much the dominant use of Corvina—the results range from relatively light to medium-bodied, and are typically fairly light in coloration (for a red); they naturally have a high acid content, and often taste out as tart. They are also usually on the low side as to alcohol, often around only 11%, though Valpolicella Superiore bottlings must be at least 12%. Characteristic taste qualities are sour cherry and (perhaps especially) almond. Oak-barrel aging is not common but not rare either. Vinification is usually as a blend, with the Corvina dominant, but monovarietal bottlings can be readily found. Everyday Valpolicella can be rather uninteresting, but Valpolicella Superiore usually shows the grape at its best (ordinary, non-Superiore Valpolicella is sometimes likened to nouveau Beaujolais). The chief other grape types used in Valopolicella are the lesser Rondinella and Molinara types. To clarify: Valpolicella table wine can be "ordinary", which is self-descriptive; "Classico", which is a small step up and designates a restricted area of origin; or "Classico Superiore', which marks a major step up in quality, associated with alcohol levels (signifying grape quality) and required aging. 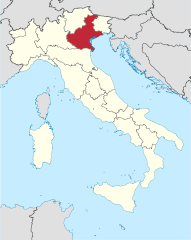 Factoid: "Valpolicella" is thought to signify "Valley of (wine) cellars", though that is not settled knowledge. "Corvina produces light to medium body wines with a light crimson coloring. The grapes' naturally high acidity can make the wine somewhat tart with a slight, bitter almond note. The finish is sometimes marked with sour cherry notes. In some regions of Valpolicella, producers are using barrel aging to add more structure and complexity to the wine. The small berries of Corvina are low in tannins and color extract." "Corvina's flowery aromas complement punchy sour-cherry and plum flavors, while higher-toned acidity balances out slightly sweet versions. You might taste bitter almonds, leather and chocolate notes, too." "Despite its powerful flavors, Corvina is capable of extreme complexity. Bardolino and basic Valpolicella often make medium-bodied fruity wines, whereas the Amarone makers use the Apassimento process. The grapes are dried - usually on straw mats - before fermentation. The shriveled grapes produce intense prune and fig flavors alongside its usual fruit notes. Here, Corvina also makes the region's sweet wine, Recioto della Valpolicella. Signature Style: Dense, dark black fruit with hints of prune and fig"
"[W]when vinified as a single varietal Corvina, shows elegance and complexity . . . The wines are light to medium bodied with soft tannins, big cherry flavors, and a mildly nutty finish. Corvina does well when it's aged in wood, which adds depth and structure." "The grapes that come from this vine usually yield wines that are red in color but light in flavor. They often have a subtle fruity flavor and may also taste of almond." "Although difficult to cultivate, Corvina grapes are highly prized for their high acidity and tart taste. Corvina grapes produce light to medium body wines with a light crimson colouring. Aromas and flavours are light and fragrant, often resembling sour cherries, strawberries and nutty almonds." "The grape creates light red colored wines with a light almond aroma. The finishing note is recognized with a tart cherry taste. 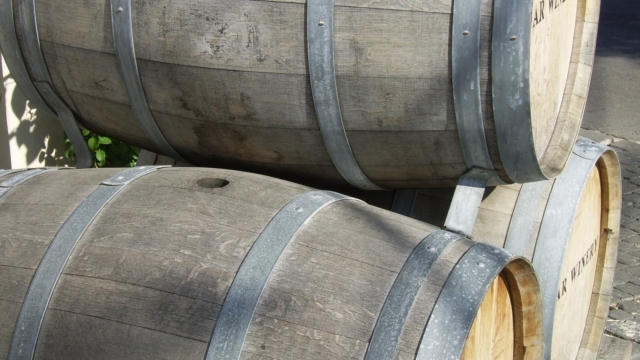 Winemakers in parts of Valpolicella will use barrel aging to give the taste of the wine more depth." Monovarietal Corvinas come mostly from the Veronese IGT; Valpolicellas, the best-known use of Corvina, are typically blends with as little as 60% to 70% Corvina. Technically, we—in trying to present you with samples that show the particular grape's characteristics—shouldn't list such blends, but it's wher you will most often encounter Corvina, so there they are. ♦ While Corvina is well known in Amarone and Valpolicella reds it is rare as a varietal wine, but it is one of my favorite grapes and this 2011 Corte Gardoni is a very nice expression, even if it is much more delicate in flavor to what I’m used to, especially the powerful Allegrini versions I have loved so much over the years. The Corte Gardoni Becco Rosso shows minty herbs and anise on the nose with some pretty floral and earthy notes with dried currants and morello cherry leading to a zesty palate of wild strawberry and plum while a hint of mineral and red peach come through on the mid palate with some truffle and loads of acidity…This is a fun and simple wine that would be considered a pleasant bistro red, but I certainly plan to pick more than a few up this spring as it is too delightful to pass up. 90 points. ♦ Just translucent, deep ruby color. Very pretty and elegant but still slightly earthy nose of dried cherries, red currants, allspice, underbrush, roasted chestnut, dill, filter coffee, juniper berries and rose petals. The body of the wine is medium-weight with a fresh and lively acidity, smoothly dry tannins and a wonderful overall balance that perfectly frames minerally flavors of red plum, cranberry sauce, fig paste, and toasted fennel seed. Strawberry and cocoa on the long and complex finish. Really lovely stuff. ♦ This smooth-textured red from the Italian Veneto always puts me in mind of a cherry orchard, because its soft and slightly tart red fruit flavors are accompanied by a subtle and appealing bitter, medicinal woodiness reminiscent of tree bark. Made from the Corvina grape—most often blended in the reds of Valpolicella and Bardolino, but here it shines alone—it is easy, elegant and even age-worthy. ♦ This is a lighter bodied, but very flavorful and food friendly, red of surprising balance that we go through in quantity during the summer. It is inexpensive and very versatile and performs well above its price point. ♦ Aged in stainless steel. Fresh, aromatic, bright cherry fruit nose. Lovely fruitiness. The palate shows pure cherry fruit with some nice grip on the finish. Very pure and fruity. 88 points. ♦ Allegrini presents a very likable and smooth Valpolicella with bright berry tones and lively shadings of spice and white almond that appear in the background. 86 points. ♦ Tart cherries, crunchy acidity, delicate and fruity, but still with some decent length. Just a touch of pepper on the finish. Classic. Keep cool. ♦ For a few dollars more, Palazzo della Torre offers more weight, richness, and flavor complexity [than their standard Valpolicella Classico]. . . The aroma . . . suggests red and black cherries, along with floral and nutty notes. In your mouth, the wine is dry, has medium-plus body, with some creamyness of texture and an under-layer of velvety tannins; flavors suggest dark, ripe berries, a hint of black pepper, ashy earth and fresh herbs. The long finish shows a concentration of fruit that bodes well for moderate aging, as well as an attractive savory note. The relative richness of this wine owes itself to the technique of drying some of the grapes. In September, thirty percent of the grapes are set aside for drying off the vine, while the remaining grapes are harvested for immediate fermentation. In December, the already-fermented wine is mixed with the fermenting juice of the dried grapes for, in effect, a second fermentation, which gives the wine characteristics such as richness, some fleshiness, and yet freshness. Aging in second-use barriques follows. This is a variation of the "ripasso" method common for fine wine in the area, which involves re-fermentation instigated by the addition of skins from Amarone, the iconic dried-grape wine of the Valpolicella zone. ♦ This is a sumptious red wine, which is superior by far to most Valpolicella wines that I have taste-tested before, and which took me by surprise during the first blind tasting as Valpolicella wine does not normally reach my expectations of a premium wine. This [wine] is not just different and vastly superior to the norm, but it is in a class of its own among Valpolicella's in this category. An excellent product which at the first blind tasting was compared to the best Vino Nobile de Montepulciano's and Chianti Riserva's, probably due to its Sangiovese content and richness of the Corvina Veronese. . . The wine is dark ruby verging on black, with full ripe fruit aromas, spice, liquorice and vanilla, with a distinct hint of violets on the nose. Rich flavours of mocha, cassis, dark chocolate and dried cherry and plums. The wine is creamy, full-bodied and dry with an excellent texture and complexity. It is well balanced with smooth tannins. Finish is long with an aftertaste of liquorice and ripe black fruit. ♦ First sniff is so aromatic, perfumy, loads of fruit - berries, blackberries, dark cherries with almond overtones - possibly violets? Hard to grasp every aroma that is smelled but everything in my nose says this is right. This is good wine. There is a deepness, a pungency that is reminiscent of Napa Valley - I wish I knew what that smell is. . . It is well-balanced. The tannins and acidity are well aligned without overpowering each other. This balance makes the wine easy to drink with or without food. Very fruity - much like a Red Zin. Medium-full bodied (the legs on this baby are still lining my glass after it's empty!). Ready to drink now, however, it could handle some cellaring....maybe just a couple of years. . . I would buy a case of this in a heart beat. Great everyday wine...and then some. ♦ These wines are made by allowing the young Valpolicella wine to rest on some of the prior year's remnants from their $100+ wines, which lends the Ripasso greater texture and more powerful flavors. Imagine aromas of red berries and pipe tobacco along with cleansing acidity, and you'll have a pretty good idea of what to expect. Pour a glass for your friends, and they'll swear you spent twice as much as you actually did. ♦ Tenuta Sant’Antonio’s ’09 Monti Garbi Ripasso is a real winner. The wine is sourced from grapes grown on the estate’s Monti Garbi vineyard and is aged for 16 months in a combination of new and used large oak casks. It has a touch of sweetness on an otherwise full-bodied frame with firm tannins and congenial acidity that keep the flavors juicy. It is balanced and composed with notes of sweet kitchen spices on the finish. ♦ A softly polished wine that's ready to enjoy soon, this shows classic aromas of black fruit, spice, tobacco leaf and underbrush. It has a delicious black-cherry flavor, punctuated with black pepper, clove and a hint of bitter almond. 88 points. ♦ This is a robust wine with flavors of fresh and dried cherries layered with elegant notes of wood, spices, balsamic and licorice. It’s medium-bodied and round with tangy acidity and grainy tannins. 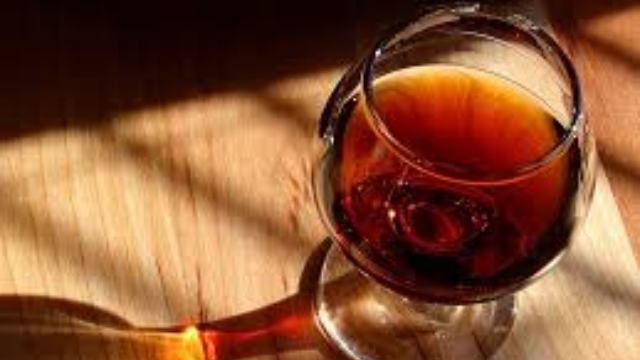 ♦ The wine is a lovely rub red color. Aromas of red fruit and cherries. The flavors are slightly sweetish, soft yet powerful, fresh, and full-flavored with a trace of tannin and a spicy aftertaste. ♦ [A] lovely, full-bodied Ripasso wine with rich flavors of dried fruit and light oak and vanilla notes. This traditional Ripasso-style Valpolicella is aged in large old oak casks for 6 months. It has loads of flavor and is a terrific value. ♦ Remo Farina is a standout producer with a beautiful portfolio of Amarone and Ripasso wines. This expression shows youthful berry tones that are backed by notes of freshly grated cinnamon and nutmeg. Its consistency is dark and rich. 88 points. ♦ This [ripasso] refermentation results in a wine with higher alcohol, smoother tannins and lower acidity. In other words, a deliciously smooth and rich wine with bright cherry and pomegranate fruit layered with savory notes of dried herbs and anise seed. ♦ Lifted balsamic aromas twinned with a hint of incense and pretty lavender oil. It is still youthful and complex; blueberry muffins and raspberry and white chocolate biscuits make this very appealing. 90 points. ♦ A beautiful deep ruby color with the typical earthy aroma that I love so much on Italian wines. Promises spices and dried cherries and grapes. As it opens up I tasted a lot of spice, rich flavors of dried fruit and light compliment of oak. Great balance with acidity and long finish. Excellent value for a Ripasso. Allegrini "La Poja" Monovitigno Corvina Veronese (100% Corvina): a splurge indeed, but it's about the top of the class for this varietal.